Chris Kozaczka is a Leadership Development Program Associate at The RMR Group. He is backed by a Bachelor of Science in Corporate Business Communication, Master of Science in Taxation and a Graduate Certificate in Financial Planning from Bentley University. Kozaczka is also a Real Estate Investor. Chris Kozaczka maintains and personally manages a 21 unit residential and commercial real estate portfolio. His 16+ years of experience in this venture have taught him a great deal about the real estate market as a whole. Coming from a background in Financial Planning, Kozaczka embraced the opportunity as a first-time investor. His risks have paid off, with the experience preparing him for his career with The RMR Group, a holding company responsible for managing a variety of real estate investment trusts, operating companies, securities mutual funds and finance firms. In 2018, Chris Kozaczka was promoted to Leadership Development Program Associate at The RMR Group. This position change came after a seven year career with the company as a Senior Tax Manager. The Leadership Development Program has introduced him to a new angle of the business. With a strong desire to continue learning, Kozaczka is excited to see where this role will take his career. 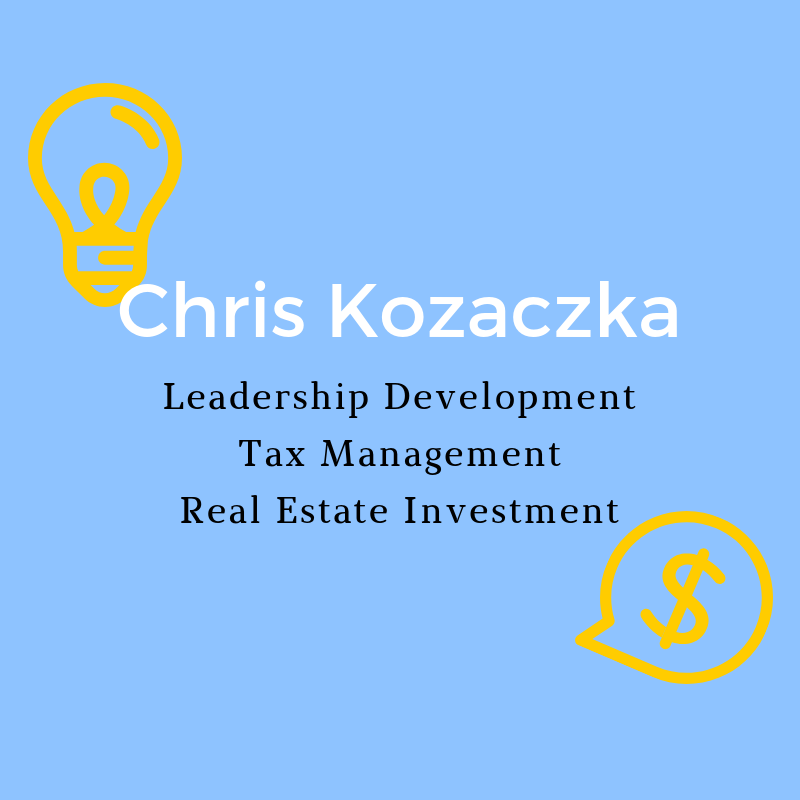 An expert in tax preparation and filing, Chris Kozaczka independently lends his expertise and advice to others during tax season. Having managed tax prep for a variety of companies throughout his professional career, he has fully mastered the process.